Note: This is a guest post by Alex Mangini. Adversity is a crazy thing. It comes in many forms, and at some point in your life — you will have to find ways to overcome it. Think of the last time the odds were against you. Maybe you were considered the underdog in a sporting event, or were told that your goals in life are unrealistic. Whatever the case may be, the only thing that’s important is how you overcome these problems. Some people thrive on adversity and use it to fuel success. Then, there are those who can’t carry that weight and let it bring them down. In my opinion, facing adversity and being underestimated is one of the best ways to reach success. Powerful stuff, right? When you think about this quote and tie it together with your own experiences, I think you will find it to be true. Go on right now and think about a time when you were underestimated, and try to remember how you took advantage of that opportunity. After that, focus right back on this post. I want to tell you a quick story about a man named Steve Jobs. Steve Jobs changed the world, no question about that. He helped revolutionize the computer industry and change the way we integrate technology into our lives through his company, Apple. Not only that, he inspires people to become the best person they can, and has shown that it’s possible to be successful no matter what happens to you — good or bad. As successful as he was, he didn’t get there by doing nothing. He didn’t get there with everyone believing in him, and he certainly didn’t breeze through everything. Fired from Apple in 1985 — the company he created. These are all harsh things on the outside, but on the inside — true motivators for success. It was not easy by any means, but Steve used all these events to fuel his burning desire to create great products and build a lasting company. He had doubters throughout his career, and of course had to deal with the fact that his own company didn’t want him in 1985. A very short time after he made Apple one of the most successful companies in the world, he was diagnosed with an incurable cancer. What downers, right? Not for Jobs. He experienced some of the worst tragedies a person can face in their lives and took more good from them than bad. After hearing probably the worst news of his life in having cancer, he came out with his best work, including the iPhone and iPad. It’s sensational to think that the worst of events can bring out the best in you. Listen, being underestimated can be a great thing for you. Having doubts thrown at you and your ideals questions — all good things. But there’s so much more to it than that. Thriving off of pure negativity is bad for you and what you set out to do. As a matter of fact, if you face more negative reactions than positive, you may want to really sit back and think about what you’re doing. As powerful as negativity can be to help you, it only goes so far until it starts hurting you. With that being said, never try to make people underestimate you — just be you. It’s also important to never forget to have supportive relationships with others. The people you surround yourself with are the ones who will make or break you as a person. Remember, you are your most important critic. If you can’t get yourself motivated, then how can you expect someone else to? Love what you do, and only do what you love. But most importantly: learn to be you. How Has Being Underestimated Helped You? I’d love to share my stories with you, so be sure to reply to this post in the comments section and share your own stories. Can’t wait to hear them! PS: To those who wonder, it is not typical that I have no bio or links to a guest blogger’s site. But since this guest chose (?) not to reply after at least two email requests by me to come over to answer comments, I figured his links and bio should be removed. If you’re interested in guest blogging, please read the guidelines on my “Contact Me” page just under the header. I look forward to hearing from you. Alex — thoughtful post, and I like how you really involve the reader in it. In my experience, we tend to think of big challenges as being the best teachers. And, as you illustrate in this post, there’s a ton we can learn from them. The problem is that major encounters with adversity and discomfort are often relatively (and hopefully!) rare in any one person’s life. Much of the time, we’re working through the day-to-day grind instead, where huge chunks of time can pass without any un-ignorable prompts that force us to grow. So, in addition to rising to the big challenges, it’s also important to put ourselves regularly in situations where we feel out of our comfort zone in smaller ways. To me, the best thing about being underestimated/uncomfortable is that it teaches humility. And humility — knowing where we’re strong and where we’re weak — breeds focus and self-awareness. Right now, I’m tutoring English-as-Second Language kids at my son’s elementary school. I make a living reading and writing, but I’m finding I barely know anything about how to teach those skills. It’s humilating in a good way — and a good antidote for overestimating myself. Look forward to reading more of your stuff. Yes, he did a great job with this post. Challenging our comfort zones is really important for anyone truly dedicated to personal development. But there’s another way to grow too. There is a Chinese saying that goes something like this: A wise man learns from his mistakes; but an enlightened man learns from the mistakes of others. Perhaps we don’t always have to be the ones who go through trials to learn life lessons. Perhaps we can still grow as we witness others (including reading biographies of historical figures) weather the storms of life instead. I also love what you said about humility, Stephen. Very well said! Very well said. I have to share a story about my husband, not me. He is brilliant in what he does (I’m not just saying that because I’m his wife, he really is!) and he has had many crappy things happen to him like the list you gave for Steve Jobs. He’s been fired only because he was showing more potential than his boss. He’s been betrayed by his co-workers. He’s been blamed for things that went wrong, when he had nothing to do for it. He’s been treated as though he didn’t know what he was talking about – by someone who didn’t know what she was talking about. His family makes him feel as though he is not good enough. Basically he’s been made to feel that he’s not good at his career, and sometimes he would question whether he really was good at his career or not. Even though he has had positive reviews, input, and experiences in his career – the bad things have taken a tool on his self-esteem. In any case, he always comes out the other end with his head held high and pushes forward in his career, and he just landed a job that he shouldn’t have yet but he got because he believed in himself – and I believe that they saw that in him in the interview. It would have been just as easy to give up throughout the years, throw his hands in the air, and stop trying to become more successful – and just settle where he was. But he keeps moving forward and that shows me he’s headed for great places. Kari recently posted … Man, Woman, or Child – Whose Life is Most Important? Your husband sounds like a great guy (and you like an amazingly supportive wife!). It’s sad when people feel the need to tear others down just because they run faster than they do. But it’s a mark of high character to keep from turning cynical and bitter and continue to press forward when we fall victim to those sad and little people. I trust your husband will be just fine as he continues to learn and grow and move forward toward his goals. Thanks so much for sharing with us. Truly appreciated. There is nothing more undermining that… well, underestimation. But then people may go two ways about it – make or break. If you break, then you are actually supporting the undermining element but if you go ahead and make something of it, then you just proved them wrong. When I was in college, I did miserable at my first psychology experiment, that was undermining as well as a teacher who suggested that I might have stepped into the wrong field. That year I had a terrible accident and my head has seven stitches and I was hospitalized for ten days. I was discharged a week before the final exams were about to begin. The same teacher told me that maybe I should take a year off because “Let’s face the fact, you might fail” ; that year not only did I stand second in college ranks but also beat about 700 students to get that. Not that I am taking pride but yes, if you truly trust in yourself then nothing and no one can actually stop you. You just need to be strong. If I had failed, it would have been okay, but I didn’t stay back and let someone else run my life and take my decisions for me. People will undermine your ability and talent; but that just shows that they are scared of you. Also, you need to make that decision and give it a try. There might be failure, but there shall not be any regrets. Dust off and keep moving! Hi Hajra! I hope Alex will be able to stop by soon, but thought I would jump in here in the meantime. Way to listen to your inner drive, and not to silly professors locked in ivory towers thinking they have the all-knowing answers to other people’s lives! I just hope your example made that particular professor think a second time before squashing others’ dreams. Steve Jobs’ life was all about passion. 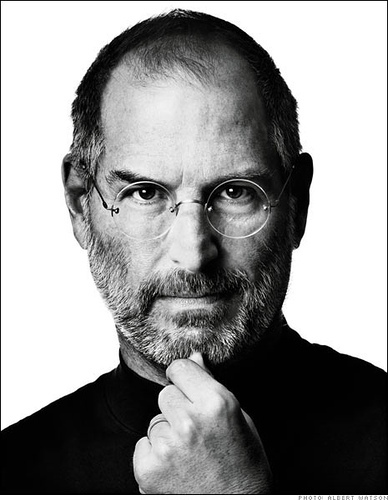 His ultimate wisdom, “Stay Hungry, Stay Foolish” summarizes everything about success, happiness and awesomeness. Passion leads to commitment and devotion which leads to expertise which leads to accomplishment in the face of obstacles and challenges. Well, keep on learning, my friend! What you do on your blog is beautiful. I lived in Taiwan for two years and know what you’re talking about. I also teach high school students in an area with a high concentration of Vietnamese. I’ve heard many, many stories of amazingly brilliant students being put down and criticized for producing excellent work just because they weren’t ranked #1 in the class. This is so unfortunate. I’ve seen kids shrivel in the light of praise because the praise for doing a great job was a reminder that they didn’t do the best job. Oh the damage well meaning parents can do! But the good news is the past doesn’t have to equal the future. We can rewrite the scripts of our lives! So keep on writing, Noch! And thank you so much for sharing you thoughts. I’ve been using it as a compass for navigating my life. We only have so many days, why spend them doing something that doesn’t ignite our passions? I hope Alex will be able to stop by soon. In the meantime, thanks for the comment! I love that quote too! What a powerful way to assess every day of our lives. I wonder how many people will look back on life and regret all the hours spent in front of the TV or doing other mind-numbing things that add nothing to the art of living. Thank you so much for sharing your wisdom here, Angela! Personal development can help you clarify personal goals and create pathways to move towards these goals with a spirit of enthusiasm and determination. Well said, Paul! The trick is to set goals that empower and impassion, that make you reach, that you can commit to, that draws you in the direction of your highest values and priorities. Awesome, but the outdated sell tactics make me want to puke. Which sell tactics are those, by the way? Motivation can help us to be successful in life. And the sentences from Steve Jobs are inspiring. Thanks ken for your lovely post. I love this article. It puts such a wonderful spin on adversity. The first personal story that It makes me think of is how as a young child my mother assured me that the doctor had said I would never make it to be taller than 5’2″ – I remember telling her I would be taller, I was determined to be. At 5’6″ both my mother and I will attest that I made 4 inches on will power. I also grew up with several learning disorders and never graduated from high school. With that past, there were plenty of people that did not believe in my potential to be successful. Now, with a PhD and multi six figure business I know that being underestimated actually helped me to push through some of the most difficult stretches. Wonderful article! I love the first quote “one of the best opportunities…is to be underestimated.” I’d love to share it but after a good deal of research I can’t find the author. Can you help me out? I’d like to be able to attribute it to the right person because it’s such a meaningful sentiment. Here’s my little story which might not be as great as the ones posted before me by these wonderful posters but to me it means a great deal. Basically, I entered university to do a Bachelor of Art in History of Art – without any previous knowledge in the subject. The only information I ever knew was through the countless documentaries I had watched persistently since I was a child. Every other student was incredibly competent in the subject and I was practically the only person to lag behind in every lecture of every unit. Even my lecturers had told me that I was in for a really tough 3 years, since I couldn’t possibly catch up with everyone given my considerable lack of preparation and knowledge. My fellow course mates didn’t fail to remind me that I was, practically, inferior to them in every possible way and I was consistently pushed aside and left alone during much of those 3 years. Eventually, I grew so dissatisfied with the way I was being pointedly ignored by my course mates and underestimated by my lecturers that I started studying obsessively every book I could lay my hands on. While my course mates were partying on a Friday night, I studied religiously until my eyes became red and my head throbbing in pain. Exam period came, and I managed to score As and Bs. This was much more than my course mates who even failed a number of units. They still managed to boast before me on other things – something I did not do. To this day they still do not know I surpassed them and still think I was just a miserable incompetent student. But who cares? this is me. . . i am underestimated,. . . but i will keep moving because one day i want to be recognize. thank you guys, i feel my spirit rise. It’s a meaningful writting for me at the moment. Yes , i’m being of underestimated most of the time when i give my own personal oppinion about a event organized by my class,. I’m not certain sure about that, cause not all members ignore me, most of them respecting me, except one. keeping in his or her mind that I’m a stupid Guy, i don’t have fully potential possibility to do or to present a power point slide. Sometimes, i feel really mad when someone, they don’t know about you, always think you r useless. But when sth go wrong, they blame on u, and tell it is your reponsibility. One of the best opportunities you can be given in life is to be underestimated. I like this quote and I’ll keep it along with “Stay hungry, Stay foolish…” by steve jobs. zai recently posted … Let’s Back to What Matters…. Thank you so much for this blog. Resonated with me so much. I have been underestimated for as long as I can remember. I moved to London on after nearly everyone doubted me and said it couldn’t happen. I have not heard from hardly any of them since..